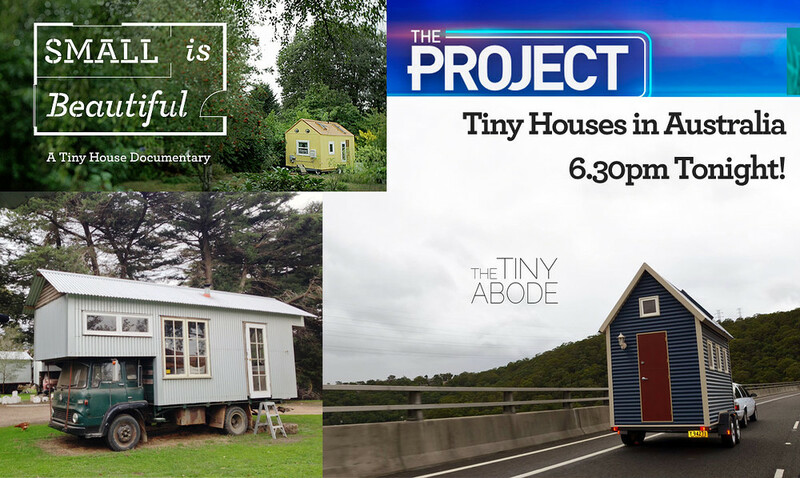 On Tuesday night we were featured on Channel Ten’s The Project, chatting about our film and what’s going on with tiny houses in Australia! Watch the feature story here. Here’s what The Project said in their blog post. Tiny houses are popping up all over the globe (see this map), but whole communities are springing up in America. 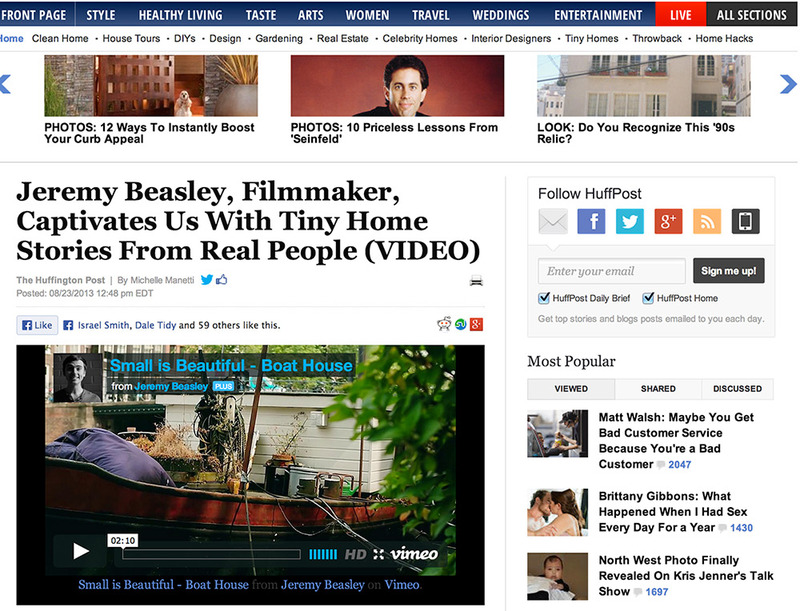 Aussie filmmaker Jeremy Beasley has made a documentary, Small is Beautiful, about the movement. He says one of the good things about Tiny Houses is their low running costs, which goes hand-in-hand with a low environmental impact. 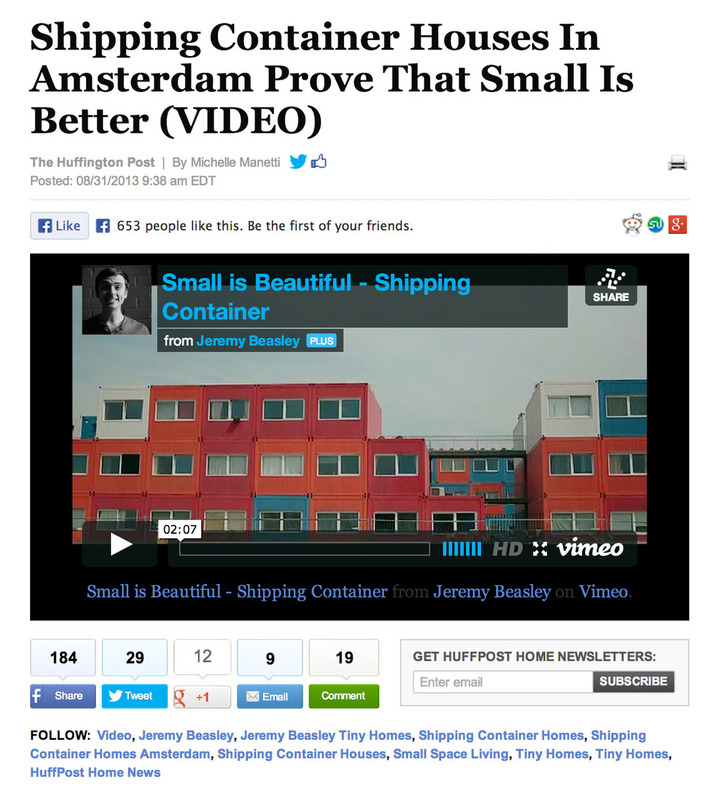 ?The average house size in Australia is 215 square meters; the average tiny house size is 17 square metres,? Jeremy notes. ?So straight away you don?t have to heat and cool that space, you don?t have to clean the space as much. ?People have to condense their things down to what is really important to them, which changes how we think about buying things.? Check out Beck & Reece over at The Tiny Abode and Rob Scott’s tiny trucks over at Hollyburton Park.